This is a step by step tutorial for writing a simple audio player in Delphi or C++ Builder VCL by using AudioLab. The steps are exactly identical in Delphi or C++ Builder versions 5 to 2007. There is no need to know Delphi or C++ Builder in order to create this application. 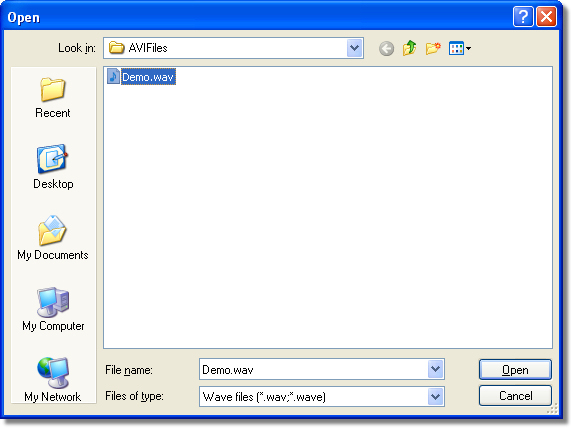 The steps bellow are captured using Delphi 2007, however they are identical in C++ Builder and older versions of the products. 1.1. 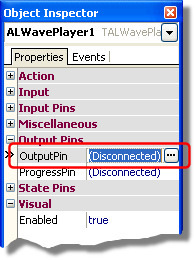 From the AudioLab tab of the component palette drop a TALWavePlayer component. 2.1. 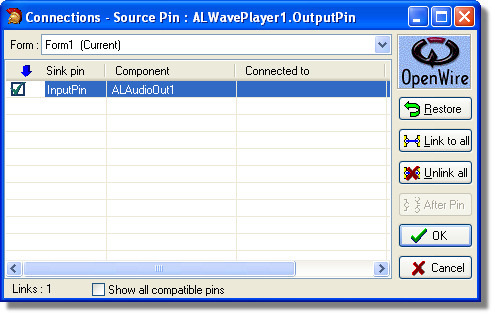 From the AudioLab tab of the component palette drop a TALAudioOut component.